"When it comes to the Saudi-American relationship, the White House should be called the 'White Tent.'" Consider two symbolic moments in the U.S.-Saudi relationship involving a visit by one leader to the other's country. In November 1990, President George H.W. Bush went to the Persian Gulf region with his wife and top congressional leaders at Thanksgiving time to visit the 400,000 troops gathered in Saudi Arabia, whom he had sent there to protect that country from an Iraqi invasion. When the Saudi authorities learned that the president intended to say grace before a festive Thanksgiving dinner, they remonstrated; Saudi Arabia knows only one religion, they said, and that is Islam. Bush acceded, and he and his entourage instead celebrated the holiday on the U.S.S. Durham, an amphibious cargo ship sitting in international waters. In April 2002, as Crown Prince Abdallah of Saudi Arabia, the country's effective ruler, was about to travel across Texas to visit President George W. Bush, an advance group talked to the airport manager in Waco (the airport serving the President's ranch in Crawford) "and told him they did not want any females on the ramp and also said there should not be any females talking to the airplane." The Federal Aviation Administration (FAA) at Waco complied with this request and passed it to three other FAA stations on the crown prince's route, which also complied. Then, when queried about this matter, both the FAA and the State Department joined the Saudi foreign minister in flat-out denying that there ever was a Saudi request for male-only controllers. The import of these incidents is clear enough: Official Americans in Saudi Arabia bend to Saudi customs, and official Americans in the United States do so as well. And it's not just a matter of travel etiquette; one finds parallel American obsequiousness concerning such issues as energy, security, religion and personal status. The Saudis routinely set the terms of this bilateral relationship. For decades, U.S. government agencies have engaged in a consistent pattern of deference to Saudi wishes, making so many unwonted and unnecessary concessions that one gets the impression that a switch has taken place, with both sides forgetting which of them is the great power and which the minor one. I shall first document this claim, then offer an explanation for it, and conclude with a policy recommendation. U.S. government acceptance of Saudi norms is particularly evident as concerns the treatment of women, children, practicing Christians and Jews. The U.S. government accepts the unequal treatment of women in connection with Saudi Arabia that it would otherwise never countenance. Two current examples tell the story. Starting in 1991, the U.S. military required its female personnel based in Saudi Arabia to wear black, head-to-foot abayas. (This makes Saudi Arabia the only country in the world where U.S. military personnel are expected to wear a religiously-mandated garment.) Further, the women had to ride in the back seat of vehicles and be accompanied by a man when off base. The Executive Branch's weak policy vis-à-vis women's rights has an impact on private institutions, as well, which also discriminate against women. KSA government's assertion. I explained to the State Department's Office of the Inspector General that the existence of such a protocol was an indication of illegal activity since no treaty provision may be executed without the concurrence of the U.S. Senate. No Jews or Jewish surnamed personnel will be sent as part of the Document Acquisition Team because of the cultural differences between Moslems and Jews in the Region. . . . No Israeli stamped passport, as per Saudi rules. As the Justice Department and CACI Inc.-Commercial hired the team to go to Saudi Arabia, "At least one U.S. person was refused a place on the team based on religion or national origin." After hearing a complaint from the Anti-Defamation League, the Office of Antiboycott Compliance at the Department of Commerce conducted a probe lasting (the unusually long period of) one and a half years. 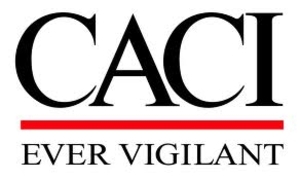 The office reached a settlement on February 27, 1997, in which CACI Inc.-Commercial and the key individuals in each institution (Hoover, Alperson, Andrew) agreed to settle the allegations against them. The individuals were assessed suspended fines and CACI-Commercial paid $15,000. Hoover also received a letter of reprimand. For their part, the Air Force and the Department of Justice "agreed to institute measures to prevent a similar event from happening again." To all this, the New York Daily News acerbically commented, "The Air Force and Justice apologized and promised to abide by the law. That's comforting, since Justice is supposed to uphold the law." As in the case of women, where the government leads, private organizations follow. Excluding Jews may be in contravention of U.S. law, which states that "U.S. companies cannot rely on a country's customs or local preferences and stereotypes to justify discrimination against U.S. citizens", but it occurs nonetheless. Until 1959, the Arabian American Oil Co. (ARAMCO) had an exemption from New York State's anti-discrimination laws and was permitted to ask prospective employees if they were Jews, on the grounds that Saudi Arabia refused to admit Jews into the country. When this arrangement was challenged in 1959, the New York State Supreme Court derisively condemned this practice. It told ARAMCO, "Go elsewhere to serve your Arab master- but not in New York State", and instructed the State Commission against Discrimination to enforce the ruling against ARAMCO. World Airways, which boasts of having "pilgrims from more Muslim countries to the Islamic Holy Land than any other airline in the world", was charged in 1975 with demanding a "letter from a church showing membership, or proof of baptism or marriage in a church" from staff traveling to Saudi Arabia. About that same time, Vinnel Corporation excluded personnel with any "contact or interest" in countries not recognized by the Kingdom. In 1982, two cardiovascular anesthesiologists (Lawrence Abrams and Stewart Linde) brought charges of discrimination against their employer, the Baylor College of Medicine, for excluding them from an exchange program with the King Faisal Hospital in Saudi Arabia due to their being Jewish. The case went to court, and in 1986 the United States Court of Appeals for the Fifth Circuit agreed with the doctors, finding that "the college intentionally excluded Jews from its beneficial and educational rotation program at Faisal Hospital." The court surmised that Baylor's actions were motivated, at least in part, "by its desire not to 'rock the boat' of its lucrative Saudi contributors." Mail to U.S. military and official government personnel enters the Kingdom on U.S. military craft, and American officials in Saudi Arabia follow Saudi wishes by seizing and disposing of Christmas trees and decorations and other symbols of the holiday. They seize and destroy Christmas cards sent to (the mostly non-official) Americans who receive their mail through a Saudi postal box, and even tear from the envelope U.S. stamps portraying religious scenes. On my first tour of Saudi Arabia, working with the U.S. Army Corps of Engineers, Americans were ordered to remove all decals and photos of the American flag. . . . With my last employer, providing defensive missiles to the Saudis, officers came through on an inspection and ordered removal of all family photos picturing wives and female children. . . . Customs went through a friend's wallet, confiscating a photo of his wife in hot pants. The Jeddah office of what used to be called the U.S. Information Service, an agency charged with presenting the official American point of view and refuting hostile accounts, was "almost completely staffed by non-U.S. citizens from the Middle East, many of them not friendly to American values and policies", according to Hunter. It "made no effort to counter the systematic, widespread falsehoods in the Saudi media about American society. In some instances, in fact, the USIS actually provided misinformation about U.S. society." The public library at USIS did not stock books critical of the Kingdom or other volumes considered "too sensitive" for Saudi society (such as family health issues). The only books touching on Jews, he reports, were "a small Jewish cookbook" and a great number of antisemitic tomes, including the Protocols of the Learned Elders of Zion. The U.S. government's weak policy can be seen in yet other areas: it does not fight for U.S. scholars or media to get access to the Kingdom; it does not challenge the Saudi refusal to allow American researchers to engage in archaeological excavations; and it provides scant assistance to those unfortunate Americans who get caught up in the Saudi legal system (for something as minor as a fender-bender). In contrast - and this is a rich subject in its own right - the State Department and other agencies bend over backwards for the Kingdom, for example, going to great lengths to keep secret the specifics of its investments in the United States. And when Saudi nationals living in the United States get in trouble with the law (common charges include various forms of rowdiness, sexual harassment and keeping slaves), they are often granted diplomatic immunity to avoid prosecution, then whisked out of the country. For example, a former U.S. ambassador to Riyadh was dispatched by his Saudi bosses to Miami in April 1982 to keep a Saudi prince from being jailed for altercating with the police by winning him retroactive diplomatic immunity. Or after Princess Buniah al-Saud, a niece of King Fahd, faced charges of battery for having pushed her Indonesian maid down a flight of stairs in her Orlando, Florida house, the maid was conveniently denied a visa by the State Department to return to the United States to testify against the princess. More spectacular was the planeload of bin Ladens permitted to leave the United States immediately after September 11, 2001, before U.S. law enforcement officials could question them. It bears noting, too, that although these examples are limited to individuals and do not touch directly on high policy, they have more than symbolic importance because they set a tone with potentially large implications. In effect, the U.S. government is abetting a profound challenge to American ways by the Islamic mores of Saudi Arabia. McSally, the fighter pilot, explains that putting her in an abaya, requiring that she be escorted and placed in the back seat, has a real psychological effect on military life at U.S. bases in Saudi Arabia, implying that women are inferior and subservient to men. Oil production and embargo: Saudi energy policies in 1973-74 helped cause the worst economic decline since the Great Depression; it was met with appeasement and conciliation, without so much as a whisper of bolder action. Lack of cooperation in finding killers of Americans: American officials meekly accepted in 1995 that the Kingdom executed the (dubious) suspects accused of killing five Americans in Riyadh before U.S. law enforcement officials could interrogate them. A year later, the response was similarly mild about the lack of Saudi cooperation in investigating the murder of American troops at Khobar Towers. After 9/11, it was even worse; as one observer puts it, "The Saudis' cooperation with our efforts to track down the financing of Al-Qaeda appears to be somewhere between minimal and zero." The spread of militant Islam: "Saudi money-official or not-is behind much of the Islamic-extremist rhetoric and action in the world today", notes Rep. Ben Gilman (R-NY), then chairman of the House International Relations Committee. The assault on September 11, 2001 was basically Saudi in ideology, personnel, organization and funding-but the U.S. government did not signal a reassessment of policy toward Riyadh, much less raise the idea of suing the Saudis for punitive damages. [M]any terrorists and terror recruits get their first taste of death-to-the-West Islamic extremism from a Wahhabi imam or centre director in Virginia or London or, presumably, Hamilton or Markham [towns in Canada], whose paycheque is drawn in the Saudi Kingdom. It may not be necessary to add Saudi Arabia to the Axis of Evil, or to invade it. But it will be necessary to engage the Saudi spread of extremism if the war on terrorism is to be won. The Arab-Israeli conflict: The Bush Administration has pretended that the Abdallah Plan for solving this conflict is a serious proposition, when it is not just patently ridiculous (demanding that Israel retreat to its 1967 borders) but also offensive (clearly envisioning the demographic overwhelming of Israel). Instead of playing unconvincing diplomatic games with Riyadh, the administration should emphasize that the hateful rhetoric and subsidies for suicide bombers must come to an immediate end. Human rights and democracy. The usual U.S. commitment to these goals seems to wither when Saudi Arabia is involved. The Kingdom's signed commitments to protect the rights of its subjects are virtually ignored, as are such questions as the rule of law, freedom of speech and assembly, the right to travel, women's rights and religious liberties. Jews and Communists were working now in parallel, now together, to undermine the civilized world as we knew it. Oblivious to my [Jewish] ancestry - or delicately putting me into a special category - Faisal insisted that an end be put once and for all to the dual conspiracy of Jews and Communists. The Middle East outpost of that plot was the State of Israel, put there by Bolshevism for the principal purpose of dividing America from the Arabs. a time comes when peoples and nations part. We are at a crossroads. It is time for the United States and Saudi Arabia to look at their separate interests. Those governments that don't feel the pulse of the people and respond to it will suffer the fate of the Shah of Iran. This aggressive statement was met not with reproach but with appeasement. And in April 2002, a leading Saudi figure warned that to survive, the Kingdom would contemplate joining with America's worst enemies: if reason of state requires that "we move to the right of bin Laden, so be it; to the left of [Libya's ruler Muammar] Qaddafi, so be it; or fly to Baghdad and embrace Saddam like a brother, so be it." The statement appeared prominently in the U.S. press but had no apparent repercussions on policy. More striking yet are the reports from the summit meeting that followed indicating that Abdallah warned Bush that if he won nothing substantive regarding the Arab-Israeli conflict, "our two countries will go their separate ways." The usual Starbucks logo on the left; the Saudi one, minus female figure, on the right. What lies behind this pattern of obsequiousness? Where is the normally robust pursuit of U.S. interests? It is one thing when private companies bend over backwards to please the Saudis (Starbucks in Saudi Arabia does not show the female figure that normally graces its logo), but why does the U.S. government defer to the Kingdom in so many and unique ways? "Oil" is likely to be the most common explanation proferred, but it does not hold. First, the U.S. government has never cringed before any other major oil supplier as it does to Saudi Arabia. Second, U.S.-Saudi ties have been premised since 1945, when a dying Franklin D. Roosevelt met an aging King Ibn Saud, on an enduring bargain in which Riyadh provides oil and gas to the United States and the world and Washington provides security to Saudi Arabia. Because this deal has even more importance for Saudis than Americans-survival versus energy supplies-oil cannot explain why the U.S. side has consistently acted as a supplicant. Another possible factor is the proclivity of many Americans to strive to tolerate other people's customs and religious beliefs, which in the Saudi case involves such matters as the total covering of women, public executions and the absence of any pretense of democratic rule. But the lack of reciprocity from the Saudi side, decade after decade, suggests that something else besides an open spirit is at work; no matter how liberal, no one can endure such a one-sided relationship for so long unless there is a payoff. A hint of that payoff lies in the pre-emptive quality of some U.S. government measures. Note two cases: The requirement that female military personnel wear the abaya was imposed by Americans, not Saudis; the latter did not even raise the subject. Saudi law only requires Westerners to dress conservatively, not that they wear Saudi garb. Likewise, the investigation of the Air Force-Justice-CACI directive excluding Jews from Saudi Arabia found "no evidence that the restriction was specifically requested by, was required by, or was even known by the Government of Saudi Arabia." The same behavior exists among private institutions. Again, note two cases: in the 1959 ARAMCO case, it turned out that the oil company was not compelled by the Saudi government to exclude Jews, but did so anyway as a result of what the court termed "informal statements of State Department underlings." Similarly, the judgment regarding the Baylor College of Medicine found that while college officials informed the two Jewish doctors of problems securing visas for Jews, "Baylor never attempted to substantiate that 'problem'", leading the court to doubt "the veracity of those assertions." The court also found no evidence supporting the college's contention that the aversion to Jewish doctors in Saudi Arabia "represented the actual position of the Saudi government." To the contrary, it concluded that Michael E. DeBakey, the school's renowned chancellor, failed to obtain "an authoritative statement of the position of the Saudis" until 1983, more than a year after the doctors had initially filed suit. It observed that there was "no evidence that Baylor even attempted to ascertain the official position of the Saudi government on this issue." In all four cases, an American in a position of authority over-eagerly imposed regulations he imagined the Saudis would be pleased with - but without checking with them, much less being required by them to take these particular steps. Why does such a pattern of behavior exist? What could prompt government or hospital staff to run out ahead of the Saudis themselves? There have been some people who really do go on the Saudi payroll, and they work as advisers and consultants. Prince Bandar is very good about massaging and promoting relationships like that. Money works wonders, and if you've got an awful lot of it, and a royal title- well, it's amusing to see how some Americans liquefy in front of a foreign potentate, just because he's called a prince. Over-the-top support of Saudi interests by former ambassador James E. Akins (who criticized Arab governments for not being tougher with Washington and despaired that Arabs did not withdraw their money from U.S. banks) caused him to be described as occasionally appearing "more pro-Arab than the Arab officials." 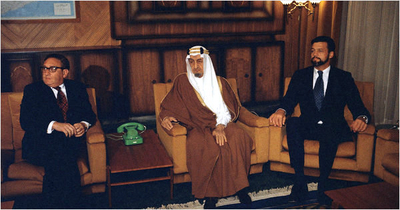 James E. Akins, the United States ambassador to Saudi Arabia, right, with Saudi King Faisal and Secretary of State Henry A. Kissinger at a meeting in Riyadh, Saudi Arabia, in March 1975. Several surveys of the post-government careers of ex-U.S. ambassadors to Riyadh all raise eyebrows. Steven Emerson characterizes their behavior as "visceral, overt self-interested sycophancy." National Review finds that the number of them "who now push a pro-Saudi line is startling" and concludes that "no other posting pays such rich dividends once one has left it, provided one is willing to become a public and private advocate of Saudi interests." A National Post analysis looked at five former ambassadors and found that "they have carved out a fine living insulting their own countrymen while shilling for one of the most corrupt regimes on Earth." If you closed your eyes while listening to their apologies, it goes on, "you would think the person talking held a Saudi passport." Americans who have worked with the Saudis in official capacities often remain connected to them when they leave public office, from former president George H.W. Bush, who has given speeches for cash in Saudi Arabia since leaving office, to many previous ambassadors and military officers stationed in the Kingdom. In some cases, these connections have been lucrative. Walter Cutler, who served two tours as the U.S. ambassador in Saudi Arabia, now runs Meridian International Center in Washington, an organization that promotes international understanding through education and exchanges. Saudi donors have been "very supportive" of the center, Cutler said. [Edward] Walker, the former assistant secretary of state for Near Eastern affairs, is president of the Middle East Institute in Washington, which promotes understanding with the Arab world. Its board chairman is former senator Wyche Fowler, ambassador to Riyadh in the second Clinton administration. Saudi contributions covered $200,000 of the institute's $1.5 million budget last year, Walker said. Nor is this a new problem. Many ex-Washington hands have been paid off by the Kingdom, including not only a bevy of former ambassadors but also such figures as Spiro T. Agnew, Jimmy Carter, Clark Clifford, John B. Connally and William E. Simon. The heart of the problem is an all-too-human one, then: Americans in positions of authority bend the rules and break with standard policy out of personal greed. In this light, Hunter's report on the three main U.S. government goals in Saudi Arabia begins to make sense: strengthen the Saudi regime, cater to the Saud royal family, and facilitate U.S. exports. All of these fit the rubric of enhancing one's own appeal to the Saudis. So, too, does Hunter's comment that "the U.S. mission is so preoccupied with extraneous duties - entertainment packages for high-level visitors, liquor sales, and handling baggage for VIP visitors" that it has scant time to devote to the proper concerns of an embassy. Likewise, his long list of high-profile ex-officials who visited Saudi Arabia during his sojourn (Jimmy Carter, George McGovern, Colin Powell, Mack McLarty, Richard Murphy) and "who were feted and presented with medals and gifts at closed ceremonies with the Saudi monarch" also fits the pattern. This culture of corruption in the Executive Branch renders it quite incapable of dealing with the Kingdom of Saudi Arabia in the farsighted and disinterested manner that U.S. foreign policy requires. That leaves Congress with the responsibility to fix things. The massive pre-emptive bribing of American officials requires urgent attention. Steps need to be taken to ensure that the Saudi revolving-door syndrome documented here be made illegal. That might mean that for ten years or more after having extensive contacts with the Kingdom of Saudi Arabia, an official may not receive funds from that source. Only this way can U.S. citizens regain confidence in those of their officials who deal with one of the world's more important states. Daniel Pipes is director of the Middle East Forum. This article builds on testimony to the House Committee on Government Reform, June 12, 2002. An executive engaged in running the Waco airport, quoted in the Dallas Morning News, April 27, 2002. USA Today, May 13, 2002. The State Department's unwillingness to stand up for U.S. citizens held in Saudi Arabia was highlighted in August 2002: at the precise moment when Rep. Burton was leading a congressional delegation to Riyadh to seek the release of abducted Americans, the Gheshayan sisters surfaced in London "on vacation" and met with an American consular official-not in the U.S. embassy, but in a luxury hotel overflowing with high-powered Saudis and their American employees. There they ostensibly renounced the United States and their mother, even as they praised Osama bin Laden. The State Department rejected accusations that the sisters were coerced or under duress during this meeting, or at any time during their stay in London. This was despite the questionable role of the translator, a strong possibility that Saudis were listening in on the conversation (and the likelihood that the sisters knew it), and the failure of U.S. diplomats to inform the two of their rights as American citizens to travel freely, without exit visas or prior permission from anyone. The State Department remembers the Operation Desert Storm era quite differently-as a time of "U.S.-Saudi cooperation in the areas of cultural accommodation." Here is its idea of balance: "The United States military issued general orders prohibiting the consumption of alcohol and setting guidelines for off-duty behavior and attire. Saudi Arabia accommodated U.S. culture and its military procedures by allowing U.S. servicewomen to serve in their varied roles throughout the Kingdom-a major step for a highly patriarchal society." See "Background Note: Saudi Arabia." On Hunter, see Martin Edwin Andersen, "Whistle-blowers keep the faith", Insight, February 11, 2002. Timothy N. Hunter, "Appeasing the Saudis", Middle East Quarterly, March 1996.
 Letters to the author, June 24 and 25, 2002. Steven Emerson, The American House of Saud: The Secret Petrodollar Connection (New York: Franklin Watts, 1985), p. 70. Office of Antiboycott Compliance, Department of Commerce, "CACI/USAF/DOJ/Hoover/ Alperson/Andrew." For another case that was not litigated, see Journal of Commerce, March 7, 1997. New York Daily News, March 10, 1997. Jordan W. Cowman, "U.S. companies doing business abroad must follow U.S. and host country labor and employment laws", New Jersey Law Journal, August 4, 1997. Of course, such cases arise in countries other than the United States, too. "A subsidiary of the Manitoba Telephone System, MTS, became embroiled in a controversy in the 1980s when it became known one contract stipulation for upgrading the Saudi telephone system required the exclusion of Jewish MTS employees." The Gazette (Montreal), February 7, 2001. 19 Misc. 2d 205; 190 N.Y.S.2d 218; 1959 N.Y. Misc. Emerson, The American House of Saud, p. 69. 805 F.2d 528; 1986 U.S. App. Roanoke Times, February 17, 2002. Letter to the author, June 24, 2002. Washington Post, January 1, 2002. Michael Barone, U.S. News & World Report, June 3, 2002. Associated Press, May 22, 2002. Edmonton Journal, May 31, 2002. Henry Kissinger, Years of Upheaval (Boston: Little, Brown, 1982), p. 661. Wall Street Journal, October 29, 2001. New York Times, April 25, 2002. Office of Antiboycott Compliance, Department of Commerce. Washington Post, February 11, 2002. Emerson, The American House of Saud, p. 250. Emerson, The American House of Saud, p. 263. Rod Dreher, "Their Men in Riyadh", National Review, June 17, 2002. Matt Welch, "Shilling for the House of Saud", The National Post, August 24, 2002. Emerson, The American House of Saud, chaps. 7, 13, 19. Hume Horan, former U.S. ambassador to Saudi Arabia. Let me comment first on the Daniel Pipes article regarding our prostrate attitude toward Saudi Arabia. Daniel's position is correct and well taken. Years and years ago, when King Abdul Aziz had just met FDR in the Great Bitter Lake, there might have been some reason for the USA to accept the notion of Saudi "exceptionalism." Here were these total country boys, and we didn't want them to be rolled when they got off the bus in Times Square. But that was long ago. By the 1970's and 80's, the extra-special treatment that the Saudis had always gotten from the USA (and had come to accept as their due) continued - but for different reasons. The Saudis were rich, they deposited lots of in the USA, they helped on oil policy, they could be shaken down for our favorite charities (Afghanistan), in the Cold War they were staunchly anti-Communist, they bought lots of our military end items, and our senior leaders enjoyed the regal exoticism lavished on them during visits to Jeddah and Riyadh. A refreshing contrast to life on the Beltway. (a) When 1 was in Riyadh we threw one heck of a Christmas party in the courtyard of the Embassy. A huge Christmas tree was put up, we sang carols, and the broader American community had a first-class time. The issue of Saudi sensibilities came up, but only briefly. I said it was perfectly normal that Americans should celebrate their Christmas on or about December 25 on American soil. I heard not a peep from the Saudis after the fact. (b) On MSNBC, I recently had a chance to say that our requiring Lt. Col. Martha McSally to take a back seat when driving off-base, and to cover herself with an abaya, was reminiscent of Rosa Parks and the yellow star that Jews had to wear in the Third Reich. I said that the US military uniform should always be worn publicly. with pride. I mentioned how disgusted my son (commander of a Marine Recon Platoon in Desert Shield and Desert Storm) had been when our chaplains had to remove their collar brass because the sight of a small cross might have offended his Saudi hosts. Alex said, "The Saudis have no respect for us. They just see us as their mercenaries." (c) Jewish FSO's in Saudi Arabia: While I was there, our Econ Officer in Dhahran, Paul Tyson, was Jewish. and made no effort to hide it. When he went for his Saudi Diplomatic ID card he said he was Jewish. That much confused the Saudi police officer. The problem was happily resolved when the officer asked "You are at any rate a monotheist?" Paul replied in the affirmative, and "monotheist" was duly inscribed in his ID card. This, however, is one of a very, very few instances of Saudis showing any perspective on religion. There are lots of horror stories. Some PS's: We also had a Jewish consular officer in Jeddah around 1976 and 1977. He was a Zionist, had studied in Jerusalem, and found Saudi Arabia totally uncongenial. He asked for and received a transfer back to Washington. I can't imagine that State Department Personnel would deliberately act NOT to send officers to the Arab world because they were Jewish. In 1964 Andy Steigman (later Dean Rusk's staff aide) was our Consul in Benghazi. We had a Jewish Political Chief in Algiers about the same time. (d) I think Daniel is hard on Jim Akins. Jim is arrogant, brilliant but principled. 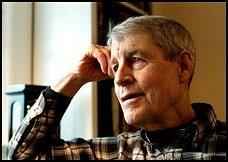 ... Jim did an extraordinary job [during the 1970s oil embargo] on behalf of the USA. (I'll not forget either, the time a VERY senior visitor was telling Jim how delighted he was with a magnificent sterling silver tea service he had been given by the Saudis. Jim responded: "But of course you can't accept that ..." And he promptly had the tea service taken away and "returned to sender.") I know Jim was offered opportunities after his tour, to cash in very handsomely on proposals made to him by the Saudis. His refusal to do so did not win their admiration. In fact it confused and irritated them. (e) Daniel is totally right on how shameful treatment of our AmCits. The Monica Stowers case alone would make TR weep. I can't understand either why the Consular Bureau could not see that 9/11 should have transformed the way they did visas. I certainly do not deserve Daniel's encomium, but I often think of David Newsom's declining various lucrative post-retirement "opportunities." David once told me that he had easily declined them all, because the Foreign Service had given him a first-class retirement and he did not have to take up any such offers. He could do what he wanted to do most, which was to teach. David could be a model for some of those whom Daniel mentions. At least three major U.S. companies — including McDonald's, Pizza Hut and Starbucks — are reportedly upholding gender apartheid in their franchise stores in Saudi Arabia. Activists say that the companies' refusal to desegregate their Saudi Arabia stores proves they are far more concerned with profits than with basic human rights. And Dunkin' Donuts, reportedly, has set an example for the other businesses by refusing to go along with Saudi segregation. Dec. 11, 2002 update: For extensions of this article, see "Government for Sale [to the Saudis]" and "What Riyadh Buys [in Washington]." July 25, 2003 update: For new examples that fit this old pattern of corruption and servility, see my weblog entry, "The Saudi Scandal Continues." July 25, 2004 update: Hume Horan died on July 22 at age 69, a special misfortune for me because he and I were in discussions for him to become the next editor of the journal I publish, the Middle East Quarterly. 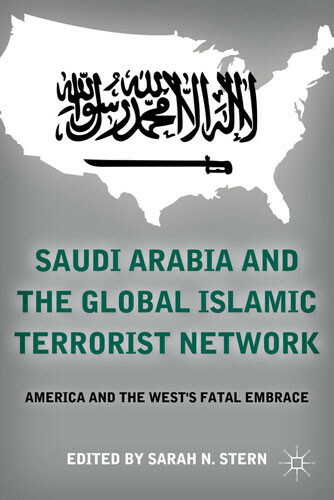 Oct. 1, 2011 update: This article has just appeared in a book, Saudi Arabia and the Global Islamic Terrorist Network: America and the West's Fatal Embrace, edited by Sarah N. Stern (New York: Palgrave Macmillan, 2011), ISBN: 978-0-230-11208-7, 288 pages. Related Topics: Dhimmitude, Saudi Arabia, US policy | Daniel Pipes receive the latest by email: subscribe to the free mef mailing list This text may be reposted or forwarded so long as it is presented as an integral whole with complete and accurate information provided about its author, date, place of publication, and original URL.